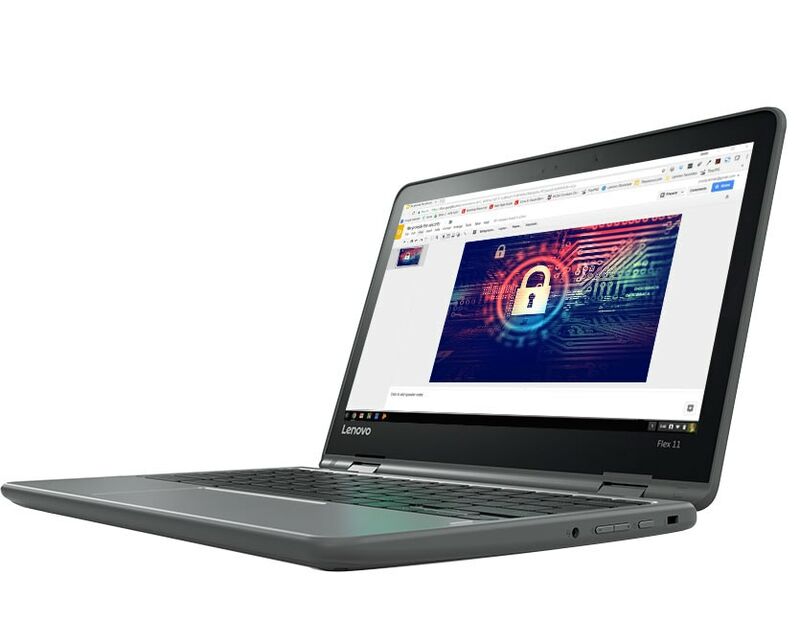 Chromebooks are a new breed of computers that use technology more intuitively so you can better experience everything you enjoy. With just a Google login account, you can be up and running in less than 8 seconds. Seamless integration and collaboration with Google Photos, Docs, Music, Drive and more make being productive or having fun a snap. Because Chromebooks automatically update, you always have the latest features and virus protection. They don’t slow down over time either—they just keep getting better and better. No matter how you use Chromebooks, they’re perfect for collaboration around the world, across the office, and even throughout the classroom. Easily share documents across Google apps like G Suite for Business or Google Classroom, and edit together in real-time—never worry about version control or emailing large files again. 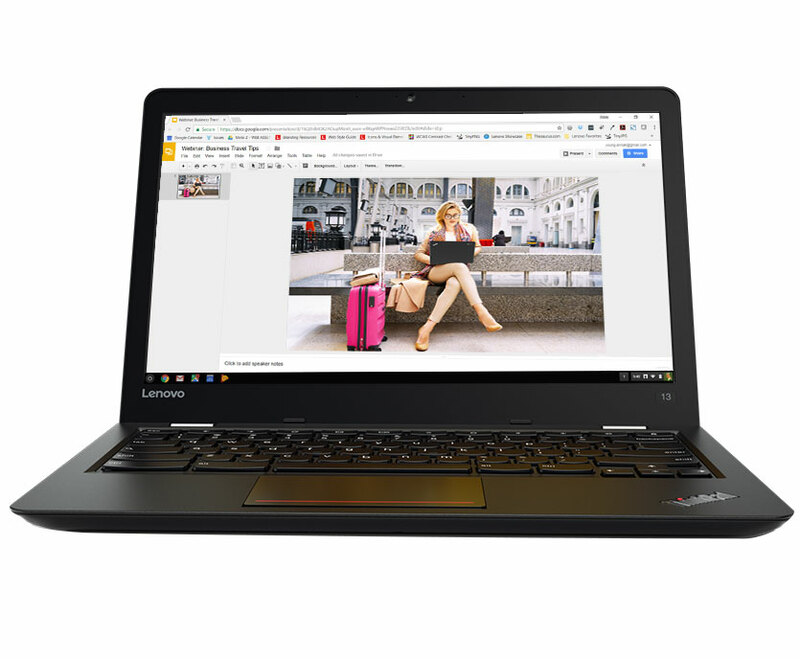 Chromebooks even make sharing PCs simple and convenient, since they’re personalized according to your Google login account. 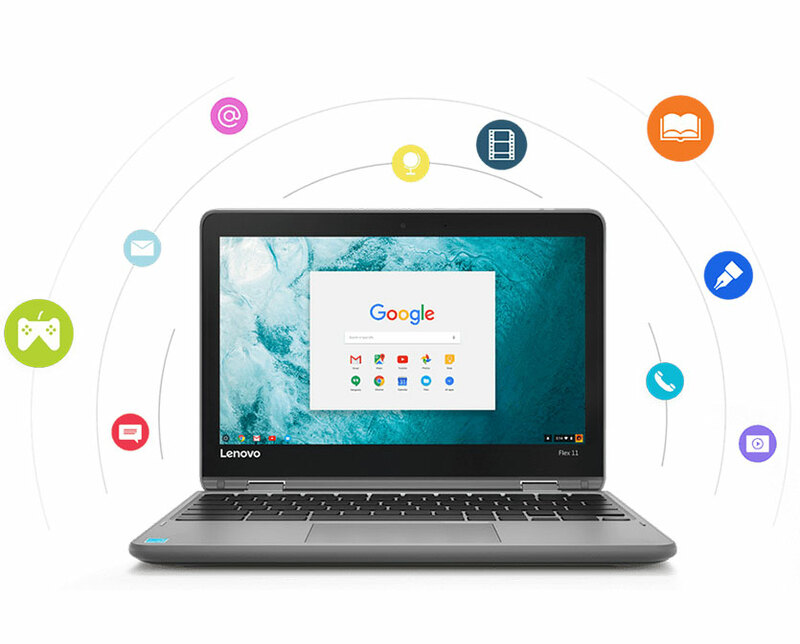 So whether you need to share in the classroom environment, between family and friends, or across coworkers, Chromebooks provide a simple solution. With easy access to Google Play* and the Chrome Web Store, you’ll find all your favorite apps. 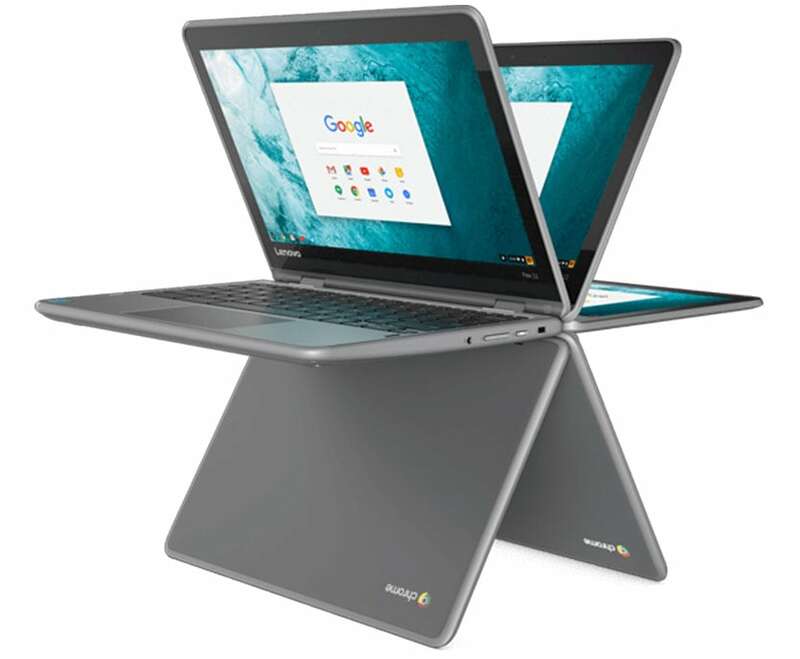 And since our Chromebooks are designed to enhance your interactive experience, you’ll get vivid visuals with crisp displays, optional touchscreens, and award-winning keyboard design. Enjoy leisure time with apps like Netflix, Spotify, or Kindle. Plan for classroom activities with apps like Khan Academy and School Loop. Communicate across teams with Slack or Skype for Business. Whatever you want to do, Chromebook has you covered. 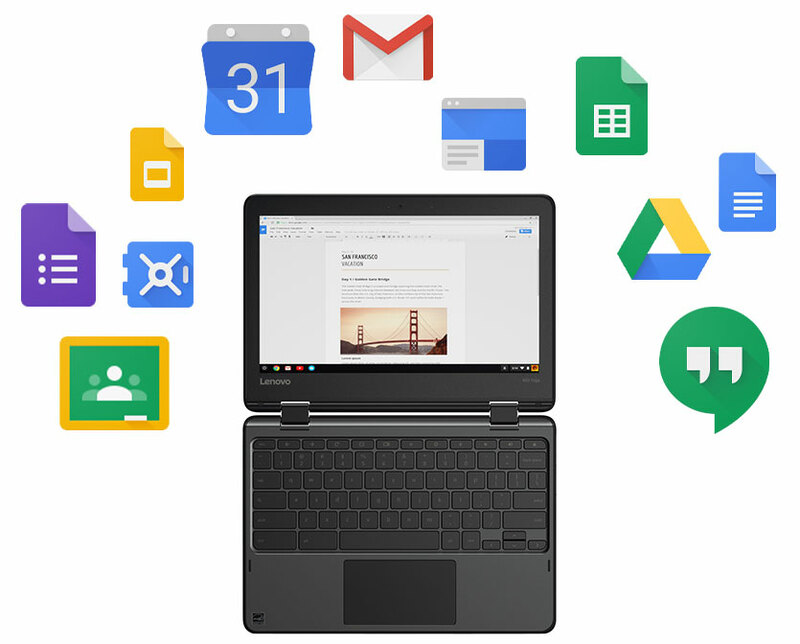 * Google Play available on select Chromebooks only. See specific product pages for more details. 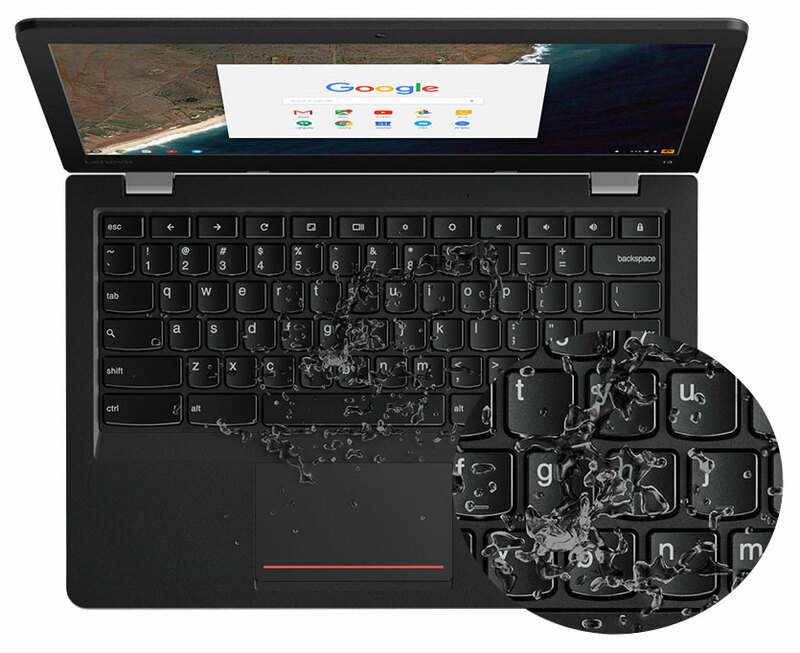 Beaten, battered, and blistered, our ThinkPad Chromebooks are built to last. They’re tested against 12 military-grade requirements that ensure reliability. From enduring arctic temperatures of -20 degrees C, to 6-hour dust storm cycles, to mechanical shocks and explosive atmosphere testing, these ThinkPads can more than handle the drops and knocks of everyday life. With built-in virus protection, your data remains safe. What’s more, Chromebooks update about every six weeks, as long as you have an internet connection. Updates also include efficiencies and improvements to the operating system, so your device won’t slow down over time because of outdated software. Best of all, because updates occur automatically, you'll always have the latest and greatest software without giving it a second thought. Want a device that’s perfect for everyday use, whether at home or on the go? Or maybe you need something a bit more serious that can handle your business workload? Perhaps you’re looking for a PC that’s rugged enough for the classroom, yet still lightweight and portable? 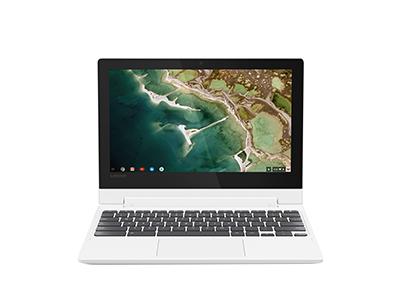 Whatever you’re looking for, we have a Chromebook for you. Designed for entertainment and productivity, our Chromebooks are part laptop, part tablet. They’re the perfect device to kick back with and surf social media, stream videos, edit photos, create and share documents, or interact with learning apps. And with our Yoga models, you can even enjoy a 360-degree hinge, which accommodates four convenient ways of enhancing your experience. And of course, with access to Google Play* and the Chrome Web Store, you’ll find all your favorite apps. 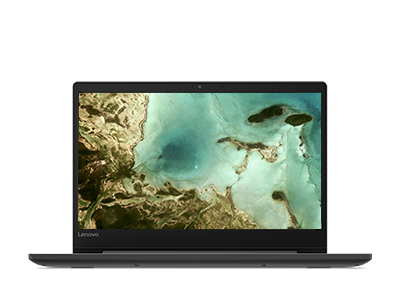 ThinkPad Chromebooks really mean business: we test against 12 military-grade specifications, along with 200 quality checks, so you can always count on reliability. Factor in Intel? processing technology and these devices deliver the performance needed to handle your workload. Plus, easily collaborate across the globe, or the office, with real-time editing and sharing of online docs. You can even share devices across multiple employees—individual Google accounts provide personalized access to data secured in the cloud. 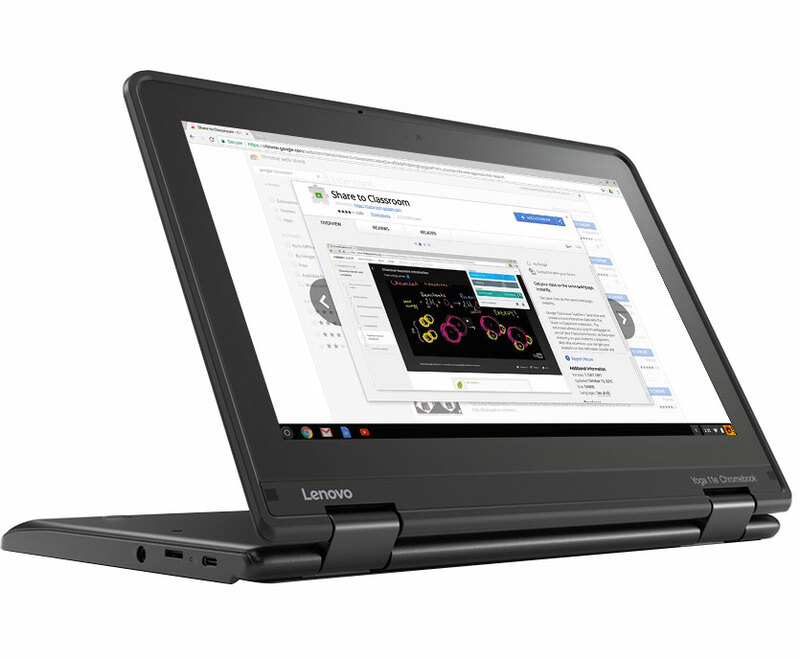 So whether you need to equip temporary, shift, or mobile workforces, ThinkPad Chromebooks are the perfect solution. 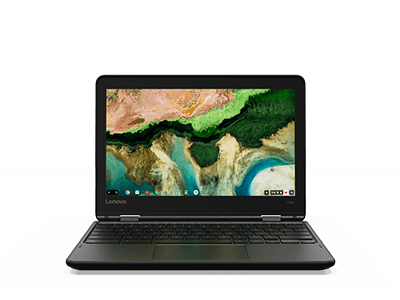 Highly durable, yet lightweight, our Chromebooks start at less than 3 pounds. They’re designed to handle the daily demands of students—from reinforced ports and hinges to rubber bumpers protecting corners, from water-resistant keyboards to mechanically-anchored keys. These devices are even built to withstand bumps and drops from up to 4 feet— about the height of a desk. * They feature a ton of great options like touch display, 360-degree hinges, webcams, 8-second bootup time. And best of all, access to Google Classroom for both students and teachers. 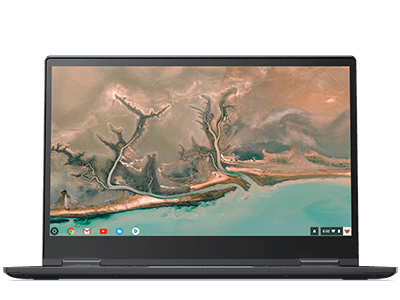 * Drop-height and water resistance pertain to select Chromebooks only. See specific product pages for more details. 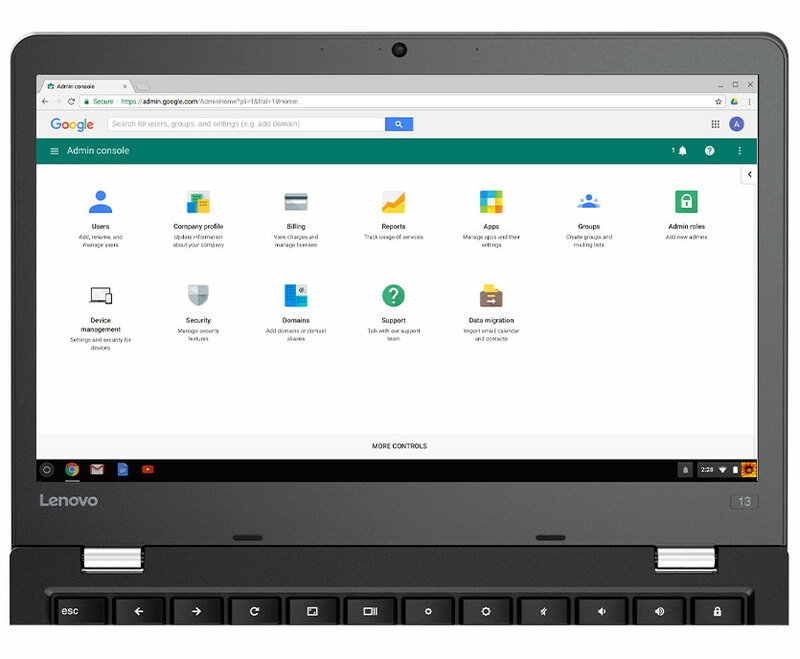 Whether you need to manage 10 devices or 10,000, across an organization or a school system, Chromebook offers the tools to do so. Through the purchase of a Chrome Enterprise or Chrome Education license, IT can use an intuitive, web-based console to quickly and easily deploy, monitor, and manage their entire device fleet. With more than 200 configurable policies for any size user group, IT has ultimate flexibility. Push installations of Chrome apps and extensions. Administer tests. Even wipe a device clean if needed. With Chromebooks and Chrome Enterprise or Chrome Education, you really can have a leaner support organization, saving you time and money. "Enough processing power to handle multitasking for homework and research"